Mike Hawthorne: Deadpool #7 preview! There is an official preview for Deadpool #7 online, with a peek at the story I wrote and drew for it! 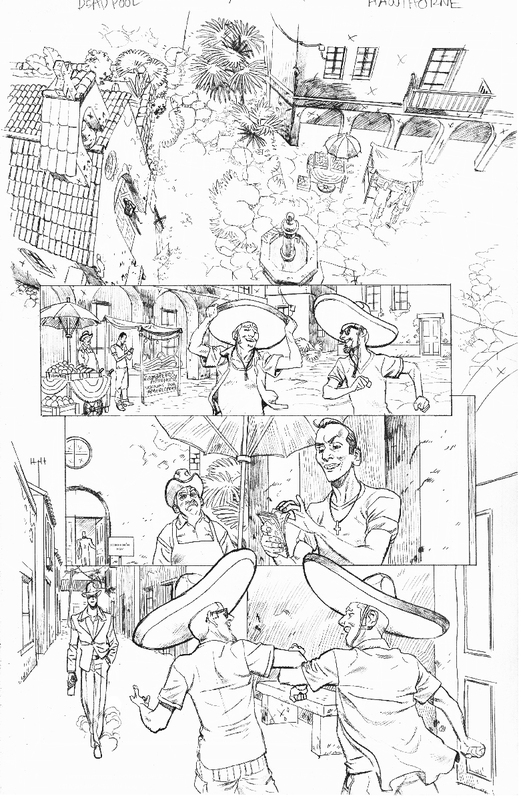 It's about Masacre, the Mexican deadpool, and is an origin of sorts. I'm especially thrilled that Marvel let me do part of the issue in Spanish. 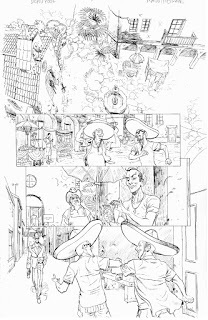 And, for you process junkies, here's the preview page before Terry and Jordie made it look amazing! Hope you all enjoy the issue!